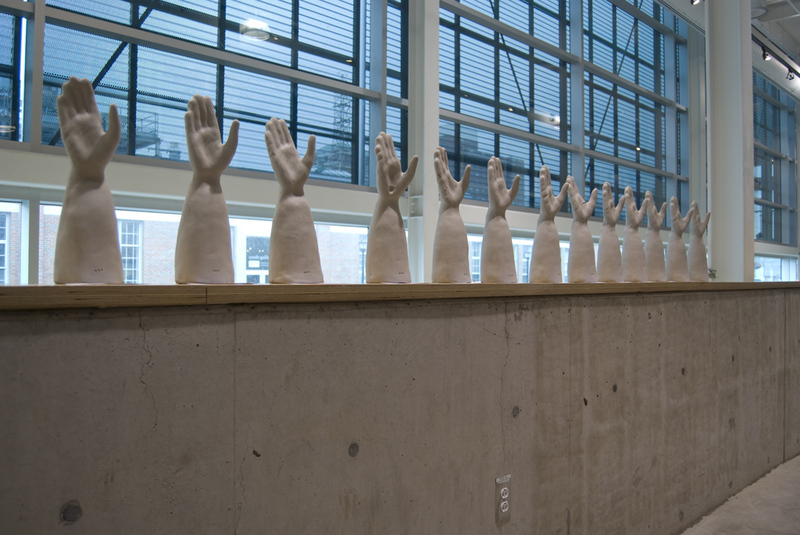 The Greeting Series came about as part of my research into bodily habits and routines. 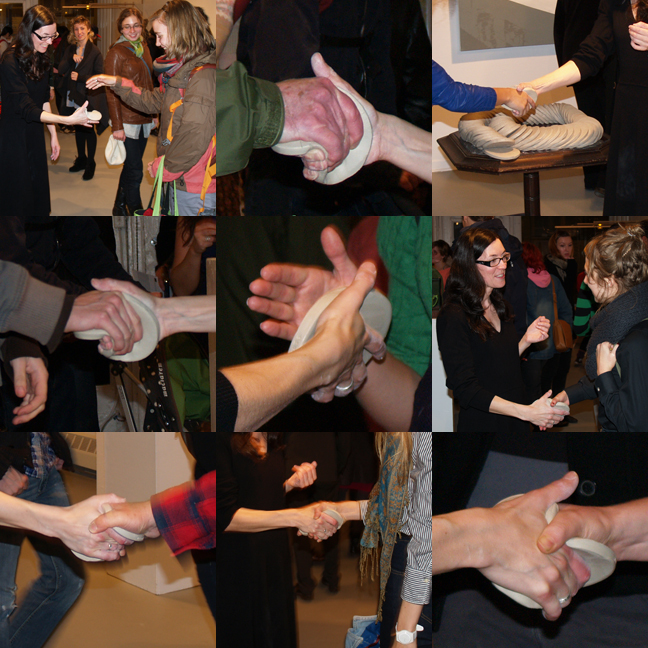 The work in this series centers on the gesture of the handshake as a starting point for inquiry and critique. 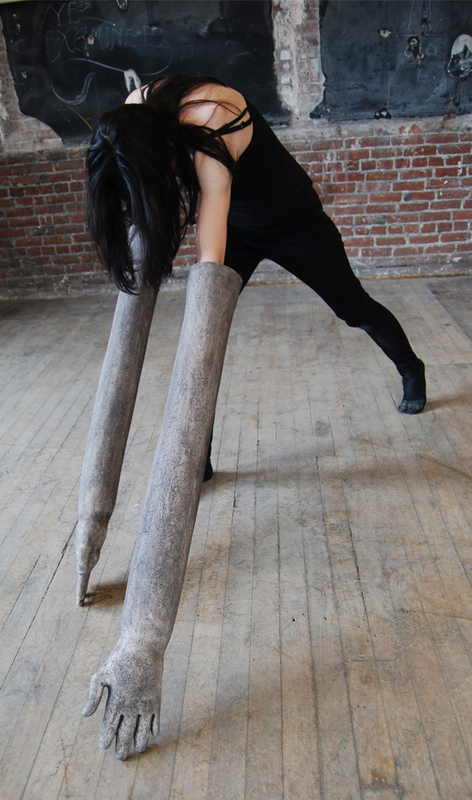 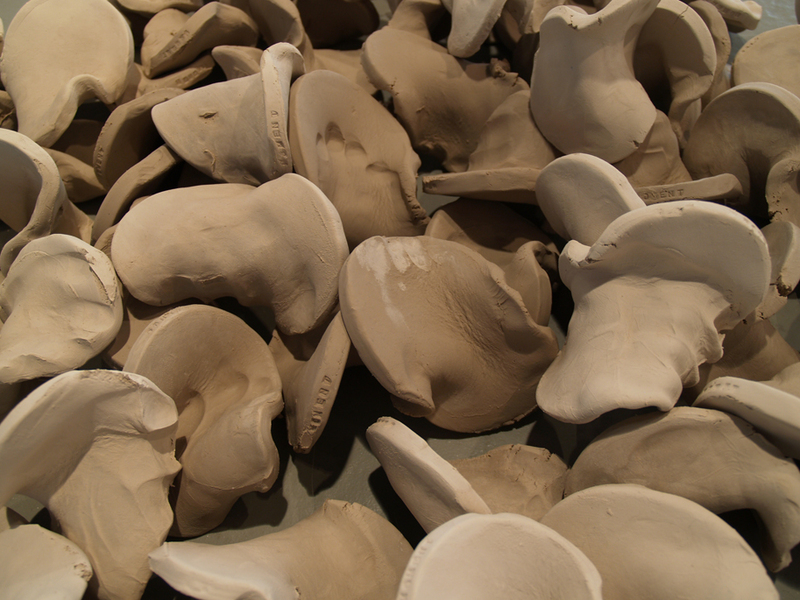 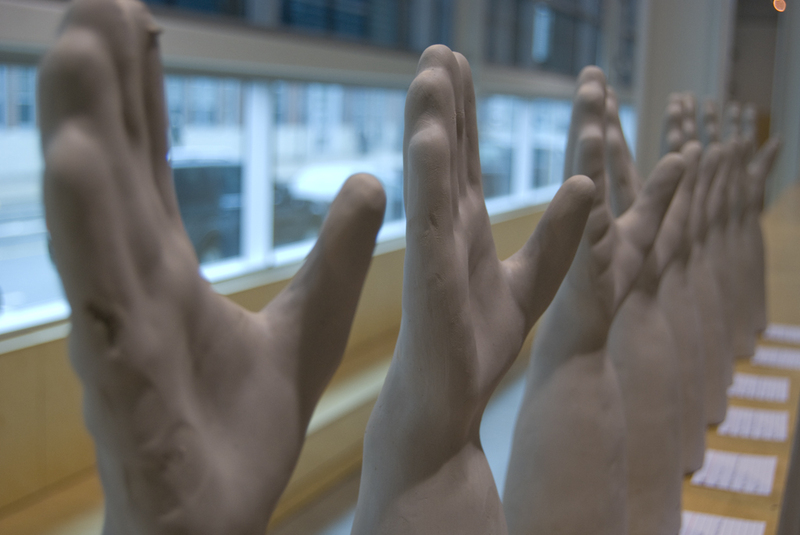 In each piece I use clay as an interface to mediate the handshake gesture. 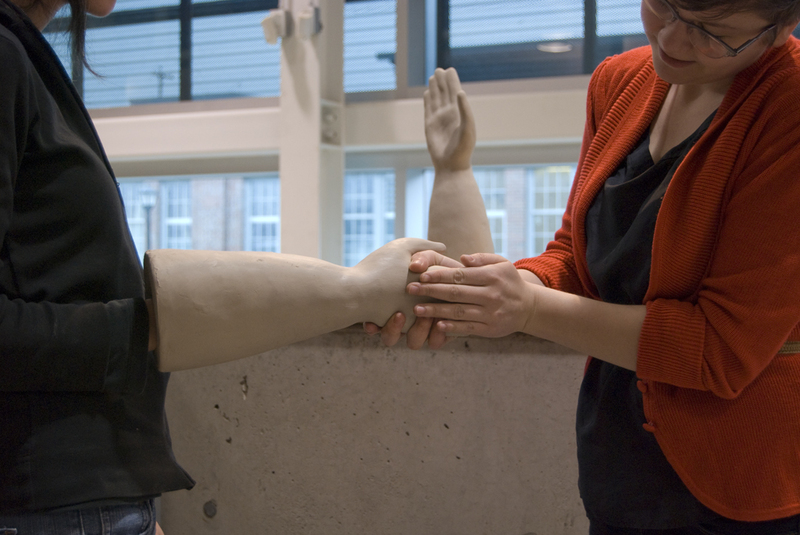 By introducing this unusual material at the point of contact between bodies I hoped to open up the participants’ experience of the handshake beyond the normative act and have it lead into personal introspection about the gestures we inherit.